A very small country with high population density, events in El Salvador represent the future of resource struggles. As basic resources like water and fossil fuels become more scarce under our current system of global trade, we will see environmental and human rights movements come more into alignment. In El Salvador, as in many developing nations, the choice to exploit or privatize natural resources has direct consequences in the health of communities. On October 21st, Salvadoran organizer and movement leader Francisco Orlando Velasco will visit Portland as part of a national tour. He works with the nationwide Roundtable Against Metallic Mining, and hails from the department of Cabañas, one of the areas most strongly affected by an international mining conflict. Velasco’s visit comes in the midst of an international lawsuit launched by the Canadian mining company Pacific Rim. The company is suing El Salvador under CAFTA for hundreds of millions of dollars in lost profits after the government refused to grant gold mining permits due to the environmental destruction that mining would cause. Resistance against the environmental impact of the mining has led to many assassinations in affected communities, bringing into relief major questions about our current model of free trade. The event will also discuss the recent victory of the left-wing FMLN, a political party founded by the armed guerrilla movement of the 90s, and the steps that the government is taking to democratize and socialize the country. Details: There will be food and drink for sale at the venue. The event is free and open to the public, but donations will be accepted! This event represents the third in a series called “National Sovereignty under CAFTA: Water, Environment, and Free Trade” organized by PCASC. Read more and watch a news video about the coup attempt. 1. Contact your congressional representatives. Tell them Ya Basta! 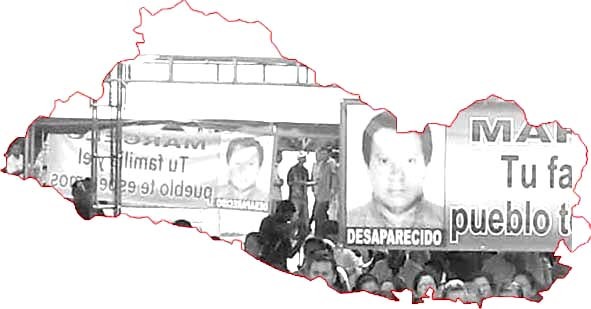 Honduras 2009, Ecuador 2010… We're sick of US-style "democracy promotion" in the region. CLOSE THE SOA! -A two-page brochure that summarizes the rights of citizens when they are contacted or stopped by the police or federal authorities. Disponible en espanhol. We’re raising $3,000 this season. That’s just 25 folks who decide to give $10 towards our work every month- just a few dollars a week! We’ve got a lot of work to do this coming year and we’ll need your help to make it all happen. From our immigrants rights campaign to our global justice work, PCASC is not slowing down anytime soon. The only way we can make it happen is by support from our membership program. New sustainers at 10/mo. will receive a free bag of fair trade, feminist, union-processed coffee!